This is certainly successful debut as leader by young trombonist Michał Tomaszczyk. BTW he is not the only interesting young trombonist that should be noticed in our country: check for example interesting recent releases by Grzegorz Rogala - "Enthuzjazzm" (2011) and "Straying To The Moon" (2010). 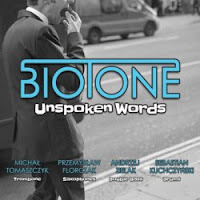 All musicians taking part in this recording are very young and just graduated from musical academies all over Poland but some of them already made first recordings as Andrzej Zielak who played in Przemysław Strączek Trio on "Earthy Room" (2007) or Sebastian Kuchczyński who collaborated with Strączek as well on "Light & Shadow" (2010) and with Wierba&Schmidt Quintet on recently issued "Black Monolith" (2011). Taking all these into account it should not surprise us that this music sounds a bit like graduation recital: full of technical mastery displays, impeccable phrasing and dedication to great masters of American jazz of 50ties and 60ties last century. Each young players deserve words of praise: Michał Tomaszczyk sound on trombone is sweet and mellow, Przemysław Florczak saxophone soft and compassionate, Andrzej Zielak double bass distinct and clear, Sebastian Kuchczyński drumming precise and yet never too obvious. Michał Tomaszczyk should additionally be commended for composing all tunes on this album which are definitely strong side of this CD. What I admire in this music is that though clearly rooted in jazz tradition it radiates with enthusiasm, commitment, love. Legendary Jerzy Mazzoll is back!! !